Studentnet is proud to announce IdentiLab as an exciting new initiative in STEM and the digital curriculum. Plus we've been accepted as a Partner in the OAIC's Privacy Awareness Week for 2017! Studentnet is announcing IdentiLab - an innovative new pilot project to assist schools to teach authentication and identity protection principles as part of their digital curriculum. Modern apps use internationally standardised open protocols to authenticate user credentials. These protocols include SAML2 for network connected devices and OpenID Connect for mobile connected devices. But how do student coding projects learn about these protocols? Even then, how do they test their coding projects to make sure they work? 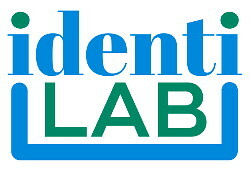 Welcome to Studentnet's IdentiLab project which provides a complete, modern authentication and identity laboratory within which students can experiment and test their innovative apps and coding ideas. Just like Cloudwork, IdentiLab supports all of the modern authentication, security and identity protocols. This ensures that apps developed using IdentiLab, whether by students or internal IT staff, are completely up to date and ready for real world use. IdentiLab is entering its initial pilot phase. We are inviting participation from school IT departments and digital curriculum educators to help shape the facility maximising the benefit delivered. Please contact us now for further information. Studentnet is proud to have been selected as an Partner in the Education category of Privacy Awareness Week 2017. PAW2017 is an initiative of the Office of the Australian Information Commissioner (OAIC). Partnering in PAW2017 continues Studentnet's over 10 year commitment to Australian privacy. Our Cloudwork product is the only Identity Management solution designed from the outset to conform to and implement the Australian Privacy Principles. Studentnet's commitment to Privacy is an important re-assurance for schools and their community. Cloudwork Schools are entitled to pass on this commitment to their respective communities - especially parents both existing and prospective. We'll be announcing more about IdentiLab and PAW2017 at the AIS IT Manager's conference in May in Canberra. Come and visit our stand - we'll be happy to answer your questions.